Over two hours lasted the meeting held on Sunday between Lute and Anastasiades, with the new element emerging being the idea of ​​the President of the Republic of Cyprus, for a possible parliamentary governing system in the event of a solution, which the American diplomat Passed on to her meeting with Mustafa Akinci. While the UN Secretary General’s report on his good services is to be published on the 15th of this month, the negotiator for Cypriot Andreas Mavroyiannis stressed in his statements that there hasn’t been the progress that maybe should have been made, that there is a lot to of work to be done and a long road ahead, and reiterated that the issue of the positive vote as expressed by the Turkish Cypriot side can not be accepted. At the same time, it became known that the Turkish Cypriot side rejected Anastasiades’ proposal and so Mrs Lute leaves Cyprus with little to go with for the next step of the procedure. The parliamentary system of governance as a proposal is not new in the context of a discussion of the Cyprus problem. Lately, officials from the Greek Cypriot side have brought it back as a possible solution to break the impasse of the positive vote. As we have said in the past, this is a major issue for the Turkish Cypriot side, which insists on putting it in the forefront, with the Greek Cypriot side rejecting the rationale for a positive vote on all issues, except for those that are likely to affect the interests of the Turkish Cypriots. 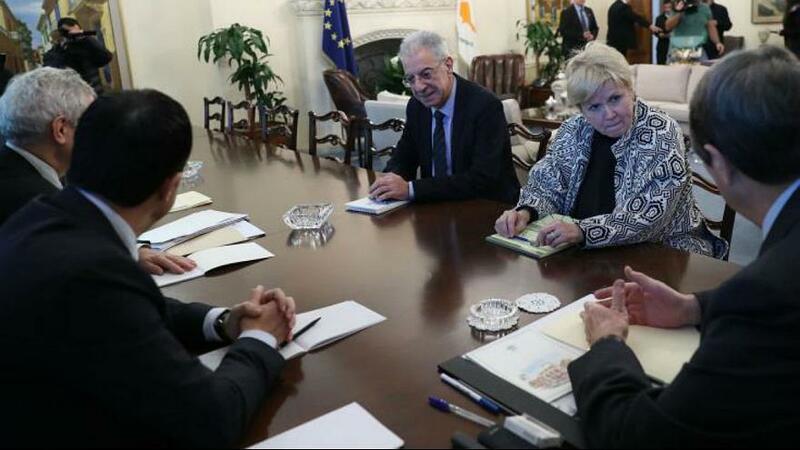 However, the negative reaction from the occupied territories to the proposal on the possibility of a parliamentary governance system came almost immediately after negotiator Andreas Mavroyiannis announced on Sunday that the issue is officially brought back through the Greek Cypriot side. “The Greek Cypriot leader brought to the table outdated thoughts that were heard during the Downer period and were rejected because they altered the principle of political equality”, was the position of Kudret Özersay, the so-called northern Cypriot Foreign Minister. According to what transpired in Nicosia, UN Secretary-General Antonio Guterres’s report is not expected to be long with regard to the terms of reference. However, it is important to show and to include it in the report that Lute’s effort is alive and continues.